Think Protection has teamed up with First Cal to give all its members an exclusive offer. $100 OFF any Think Protection home alarm packages! On top of that with this offer, you will also get FREE shipping ($25). TOTAL VALUE: $125! Use offer code FIRSTCAL online before checkout OR call 1-855-76-THINK (84465) and mention FIRSTCAL. This limited time offer ends on midnight December 31st, 2017. Thank you for being a valued Client with First Cal. As a Think Protection customer myself, I am proud to offer you the gift of home security from a company that I trust to protect my own family. At First Cal we believe in building relationships beyond the mortgage process and hope that we can continue to offer value to you and your family for years to come. Switching to Think Protection helped us save over $80 monthly on home alarm plus the required phone line that we previously have. Setup for this system is very easy. Their tech support guided us step-by-step and we were done in 15 minutes. 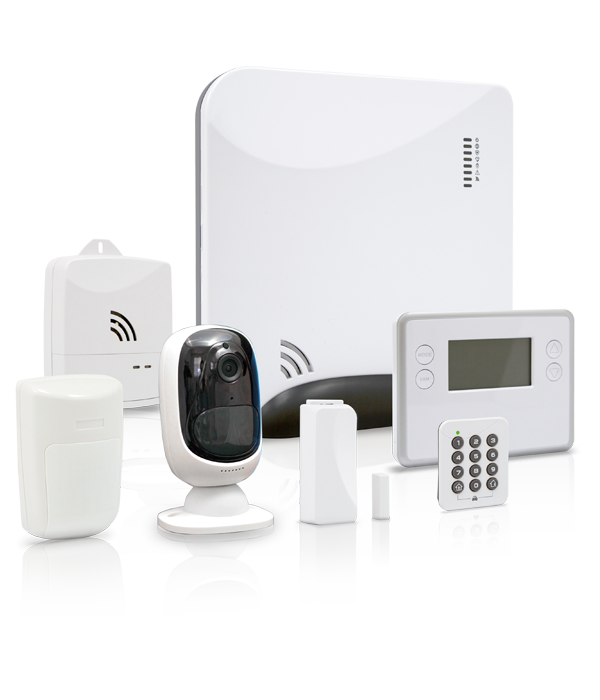 Need an all around Home Security System? This is it. You can build it as small or as large as you want or need, with low hardware costs, maintaining affordable monthly monitoring fees with no long term contracts. A great experience with the purchase and assistance. They take the time to work with you to finalise the best system for your home. Value for your money. Super convenient experience. I ordered online and setup really only took me 15 min. And I loved that there were no high pressure sales techniques unlike every other alarm company that I've dealt with. I've been a customer with Think Protection for over a year now and have not had any regrets. The product was easy to install and customer care was quick to respond to inquiries. This system is top notch. Not only do I feel incredibly safe inside my home once I activate the system, but I love the countless other features that I have or have access to upgrade to over time. All the functionality of a more expensive systems at literally a fraction of the cost. Simply couldn't be happier.